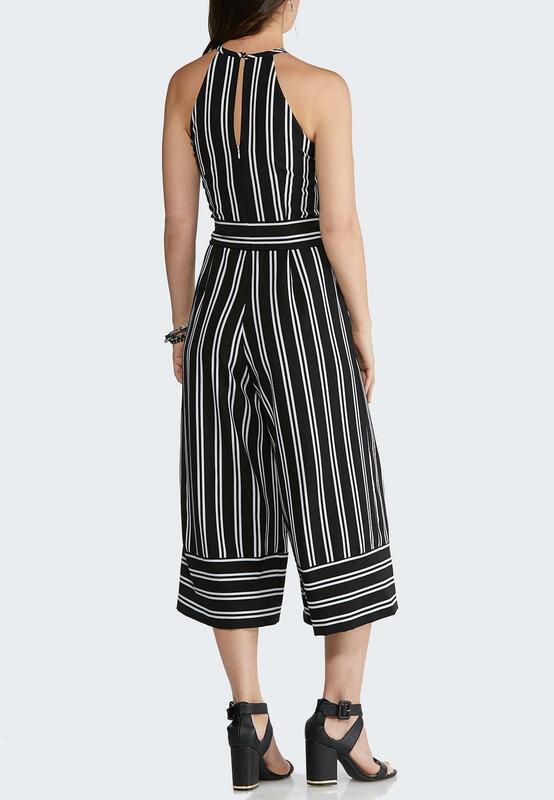 Treat yourself to this gorgeous one-piece style, featuring a flattering halter neckline, tie waist, chic wide leg silhouette and contrast striped print. 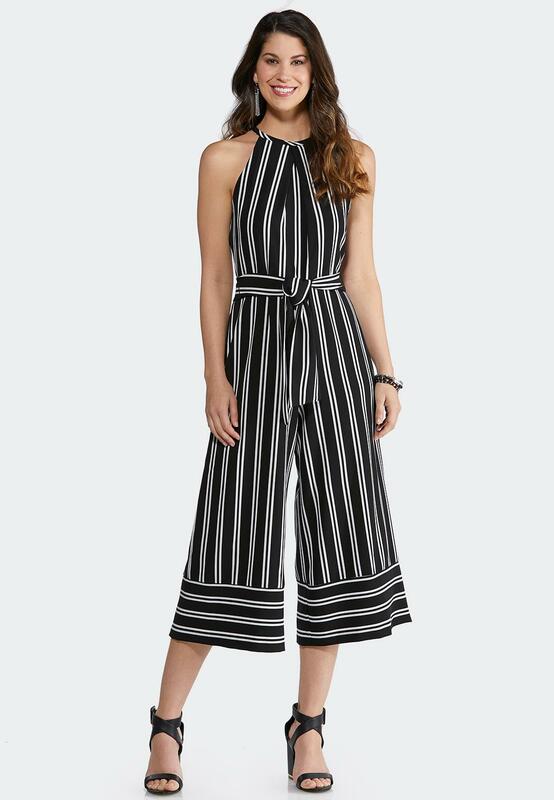 Day or night, this dressy look will receive compliments galore. Love, love, love! Fits perfect and comfy too!